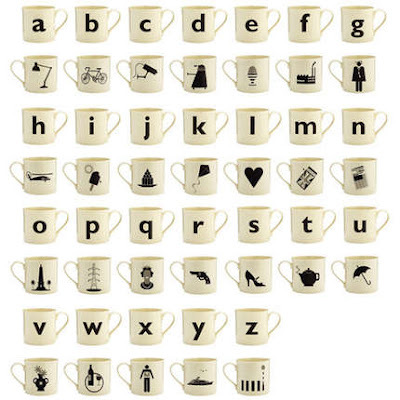 This set of alphabet mugs shows the letter on one side, and a picture on the other. So A is for Anglepoise, and T is for… well, it’s for Tea, of course! Get the whole set at Pedlars.